Did you ever begin salivating while talking, thinking about or simply looking at delicious food? Well, I’m drowning in my own drool now, as I am typing up this recipe. I see the image, remember the taste, but my hunger cannot be satisfied. It is one thing to make a delicious meal (and this one will sear itself into your brain once you taste it), and another to stare at it, knowing in advance that you can’t have it–because there is none left. Terrible cruelty! 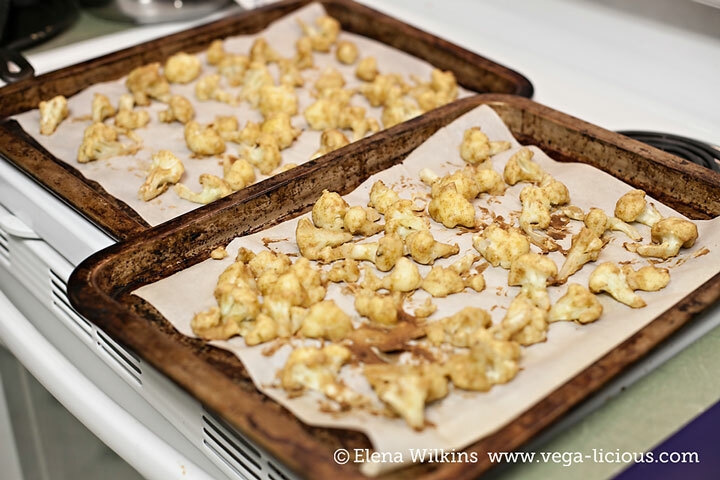 About three years ago I created a runaway cauliflower recipe hit–Cauli Poppers. Since, I’ve made it more times than I could ever count, and my family begged me to make it even more times than that. 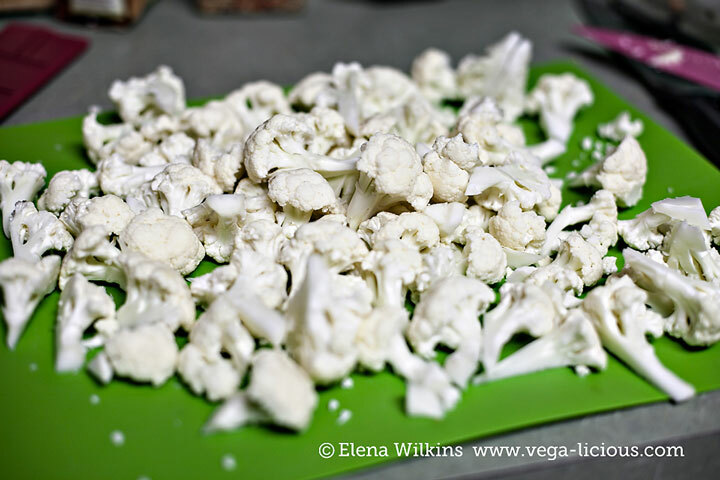 The good thing, of course, is that this led to us consuming unimaginable amounts of cauliflower. And, as you know it, cauliflower is a potent cancer and disease fighter, so, no one is complaining. This year I had a barbecue craving. Don’t know where it came from, but when a taste memory hits my brain and overtakes it, I have to find a healthy way to satisfy it. It’s either that, or painfully waiting out the craving–never a pleasant experience. 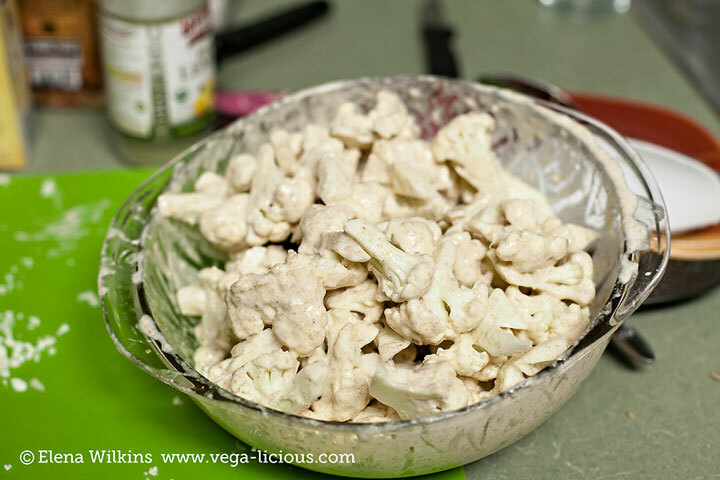 So, in response to my craving I created a new, very simple, easy to make, and gluten free Barbecue Cauliflower Wings recipe. Only seven ingredients, if you count baking soda and water, otherwise it’s even less than that! Then dip again, bake again (or not) and enjoy! 10 minutes prep time, 20 minutes baking time, and you got yourself a meal! 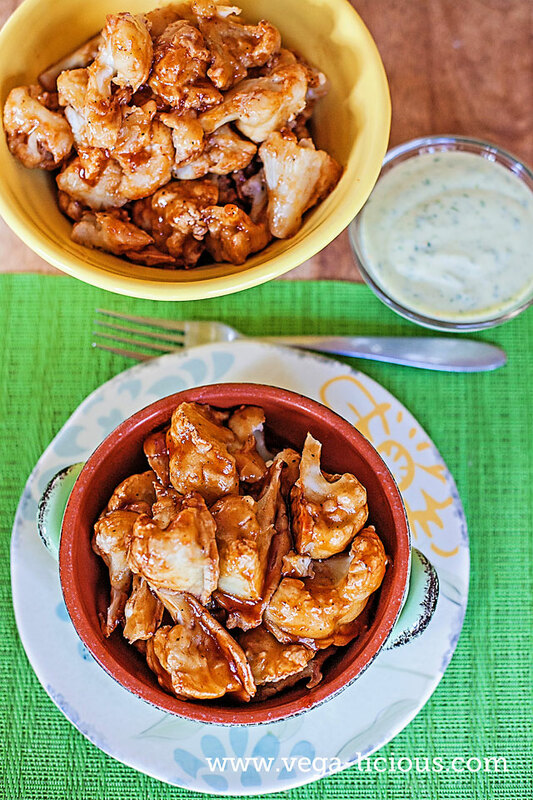 The BBQ wings are succulent and finger-licking-good by themselves, but your experience can be heightened if you have a stash of my low fat homemade vegan Ranch Dressing, with an extra dash of garlic in it. 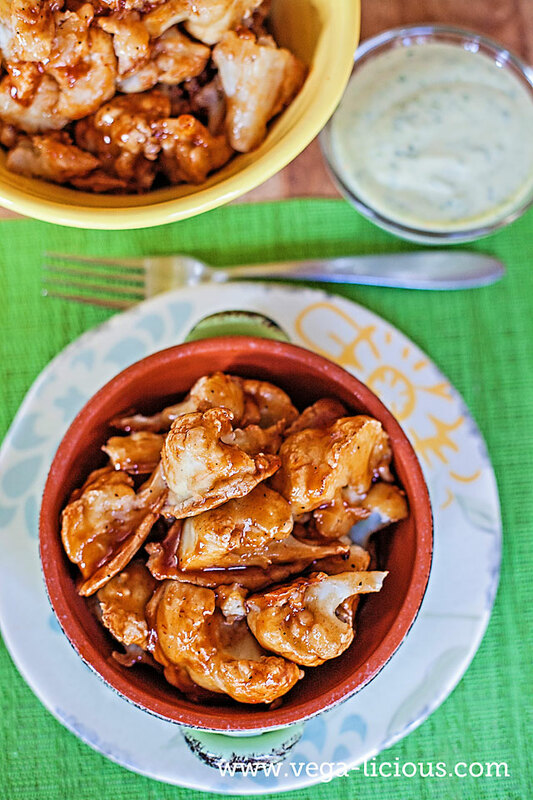 If you do, let me tell you this–do yourself a favor and make a double batch of these cauliflower wings, or you will be mad at yourself that you didn’t. In fact, that’s exactly what I will be doing today–going to the store to buy the ingredients I need for my guilt free, disease fighting bbq wings, so I can indulge. 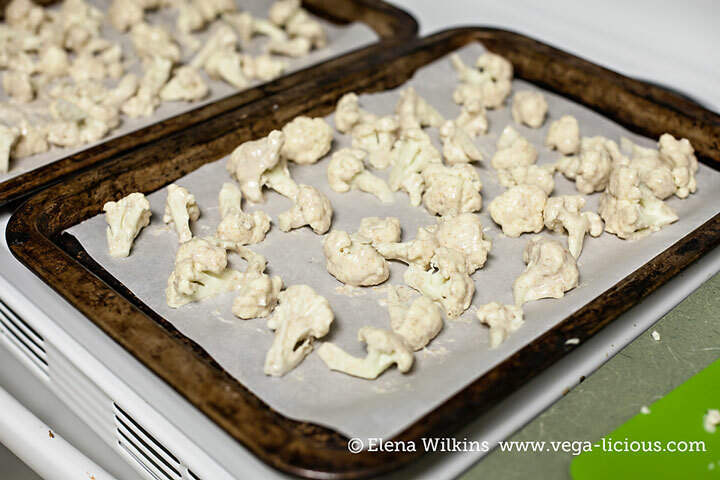 One serving of these cauliflower wings (without Ranch dressing) will give you around 161% of your daily vit. C and 22% of iron RDA! So, indulge away! The time when you longingly remember bbq chicken wings are over! 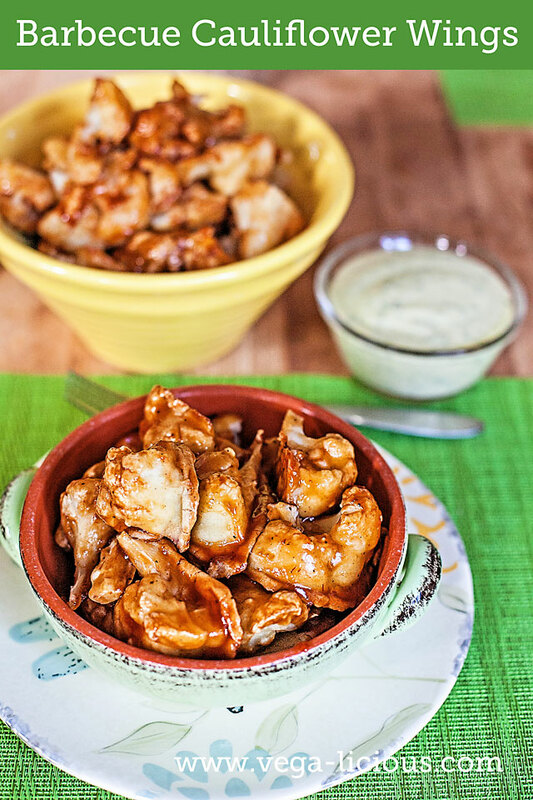 These vegan nutrient packed barbecue cauliflower wings are great for your taste buds and for waistline, without threatening to raise your cholesterol. If you are as excited about this barbecue wings recipe as I am, head to the store, then tell me how it turns out for you.